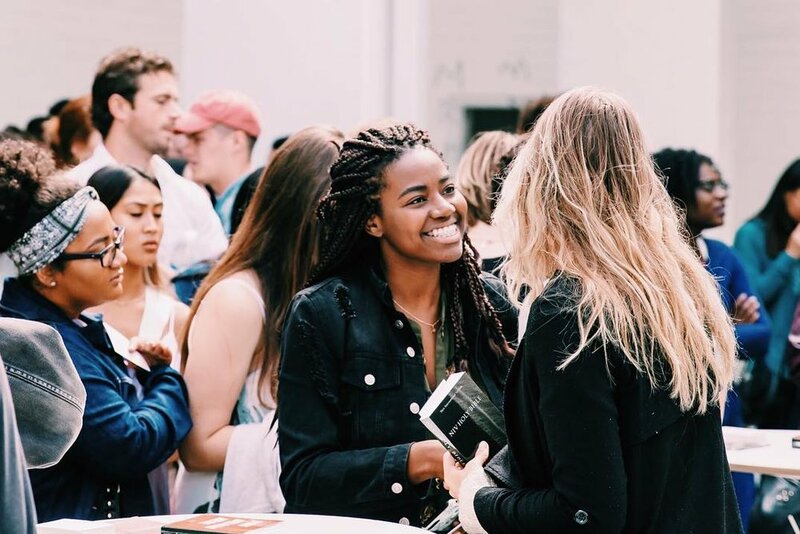 we know it can be a scary or intimidating to visit a new community and we want to make it as easy as possible for you to come and connect with our community and be part of what God is up to here. We live in a fast food culture where everyone is in and out and little time is given to much of anything. Some churches pride themselves on having 1 hour services that are "convenient" and easy. King David in the other hand refused to give God an offering that cost him nothing. This was a heart after God. True intimacy takes time and cannot be rushed. Pre-service prayer we connect with each other and God. Psalm 100:4 - "Enter his gates with thanksgiving and his courts with praise; give thanks to him and praise his name." There is a quote, "History belongs to the intercessors". Jesus said, "You may ask me for anything in my name, and I will do it." God has given us this amazing ability to partner with Him like Adam & Eve partnered with God in the garden. The first job we had was naming animals (a creative task). Also, from 4-5pm we setup and flip Snug from a coffeeshop to a church. Anyone (Men or Women) who have a heart to help with the physical setup, you are welcome to come. Note: 8PM is an approximate end time. Especially with Guest Speakers, church may go longer. There will be childcare for the length of the service regardless of how long it goes. Why do you spend an hour in worship? my old church does 20 minutes of songs. True intimacy takes time. While spending more time does not always guarantee a more special time with God, a 20-30 minute worship set is usually far too short or impossible to go to a truly deep place to God. The Bible does not demand a specific time period but for us, and compared to churches in Africa and Asia who often worship 8 hours straight, what we do is a small "sacrifice of praise" but we try to give God around a full hour of worship every Sunday night service. We celebrate communion and take Jesus body and blood within that worship set and remember the incredible sacrifice he made for us. What is your practice with communion? We practice open communion, so as long as you are a believer in Jesus you are welcome. If you aren’t a follower of Jesus yet we would love to help you become one, and be of service to you in your spiritual journey. I'm interested in the church but I would like to find out more before visiting. There are several ways to connect with us on a pastoral or community level. You can visit a homegroup . Usually there is a pastor at one of those meetings. You can email or call or us send us a FB message with any questions. View contact information at the bottom of the page. no dress code, you don't have to be perfect or sinless - come as you are, come open to connect, let’s do family, encounter God + Heaven & transform earth. There are two common sort of views of what church is. Some view church as a "club of saints" or a place where "perfect people" come to hang out. This view is both dangerous and wrong and creates a religious environment where there is no authenticity, a whole lot of judgment, shame, and pressure to perform. People hide any faults or struggles because they lose value for being "in process" and generally there are no avenues to grow except acquiring more Bible knowledge, spiritual information or appearing more righteous than the next guy. The second view my grandmother called church a "hospital for sinners". This view expresses an aspect of truth, in that we first meet God in a broken, lost, sinful state (out of design), with a broken connection with God, other people, and even planet Earth. Jesus is the great physician of our souls and bodies so he is restoring us, so in that way the church is a hospital for sinners. Meeting Jesus in a real way is an expression of people being restored and Jesus is even called the great physician of our souls and bodies, so yes the church is a hospital for sinners, a place for broken people. However, the view that church is only a hospital for sinners makes Christianity about sin. Before sin existed the goal was knowing God and there was a destiny in the garden in partnership with a good Father. Jesus paid for sin so we could know God and have union with Him just like was available before the fall in the garden. A saint club doesn't really help real people with real issues, and a hospital sounds like we are permanently in rehab and inward focused, so we believe a 3rd view that church is ultimately a training ground for world changers and history makers. Jesus lived and did life with 12 guys and a slightly larger community including Mary Magdalene, his mother, etc. That community was transformed totally and went around the world and transformed nations, reconciled people and nations to God, healed the sick, raised the dead (both men and women did this apostles and non-apostles). The goal of Christianity is not to lower your sin quotient or percentage, but it is union with God, to know and love God (because He first loved us) and make Him known in power and love.